If you haven’t done so already, you have a week left to fund an IRA for 2011. This goes for both traditional and Roth IRAs, but a Roth IRA has a special advantage (aside from the tax differences). In short, non-rollover Roth IRA contributions can be withdrawn at any time, for any reason, without taxes or penalties. If you don’t believe me, check out IRS Publication 590 for details. Or see here for a plain English explanation. Don’t get me wrong… I’m not suggesting that you should plan on raiding your retirement accounts early, but this little factoid gives you the ability to stretch your contributions to the max without having to worry about over-extending yourself. Said another way, if you have enough cash on hand to fund a Roth IRA, you should think about going ahead and doing so — even if it means dipping into your emergency fund. After all, if you find yourself in a pinch, you can always undo the contribution. If everything works out for the best, you’ll be able to rebuild your savings without pulling that Roth contribution back out and you’ll be ahead of the game. And if you car breaks down, you lose your job, or whatever, you can always undo the contribution. One of the main reasons I like this strategy is that you’re limited to contributing a limited amount of money each year, and you can’t go back in future years to make of for contributions that you skipped. Thus, you should do whatever you can to lock in your contributions while they’re available. Be sure you’re contributing to a Roth IRA because traditional IRAs don’t offer the same flexibility to undo contributions. If there’s a chance you might need to pull this money back out, don’t invest it aggressively. Instead, hold it in a low-risk investment vehicle until you’ve rebuilt your regular savings. Be careful not to exceed your contribution limits. Remember… Your traditional and Roth contributions are subject to a common limit so don’t try to contribute $5k to each. As always, be aware of the income limits for Roth IRA contributions. If you earn too much, you’ll have to jump through a number of hoops to get money into a Roth. 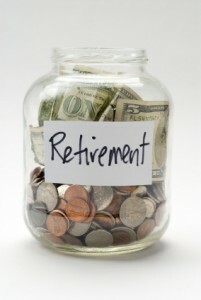 And don’t forget about next year… The clock is already ticking for your 2012 IRA contributions. Roll Over IRA Into 401(k)? What are the 2012 Traditional and Roth IRA Contribution Limits? Sounds like you’re off to a great start. Here’s my 2 cents for what it’s worth. If you don’t have an emergency fund, I’d start there. Then if a big repair or unexpected expense comes along, you can pull from cash on hand to pay for it (so you don’t have to borrow or use credit). A recommendation that is pretty common is to have what you’ll need to get by for 6 months in savings. I’d probably put my first several thousand in a savings account, and then you could use a Roth IRA for additional savings. 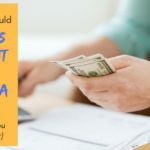 However, I’d encourage you to put it in something VERY LOW RISK–you can only pull out the money you put into a Roth IRA, so if you put in $5,000 and the investment you are in drops to $4,000, you’d only have $4,000 left to take out. After having an emergency fund established, I’d go after the student loans–they’re really like a guaranteed rate of return of 6.625%. I had loans in the neighborhood of what you have, and it’s great to have them paid off. Eliminating that debt prior to taking on a mortgage (if that’s in your future) would certainly be a plus. BEST WISHES!!!!! -$5,000 towards the student loans? Retirement funds: 401k @8% contribution including company match. I have about $5,000 in it as of now. 28 years old, been out of school for a little over a year. Yes, of course. If you can’t afford the full contribution but can afford a partial contribution, then go for it. The point here is simply to encourage people who might otherwise not contribute anything to do so. I believe you can also open an IRA (or if you have one already, fund it) with a partial contribution – that is, with less than the maximum allowed amount. You should still get some tax benefit. In addition, for those with enough exposure to stocks, the peer-to-peer lending sites are offering IRAs these days. A good option as the peer-to-peers are getting around 10% annual returns or better, based on how you select the loans that you decide to invest in.